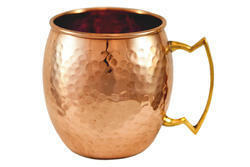 Fine Decorative Copper Glass With Stone Work Available In Different Designs & Sizes. Pure copper water bottles in mirror finish . We are offering Copper Jiggers to our clients. In order to cater to the numerous necessities of the patrons, we have been able to provide a wide range of Copper Bottle. 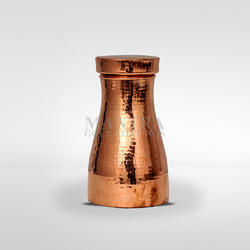 We have marked a distinct position in the market by providing a high-quality range of Copper Utensil Set.